I found that the Haptyepecaller made heterozygous calls where there is no support for them in the BAM. We use IGV to compare input BAM and Haptyepecaller output bam. The region shown in the figure confused us. At the top of this figure is input-BAM while another is Haptyepecaller-output-bam. 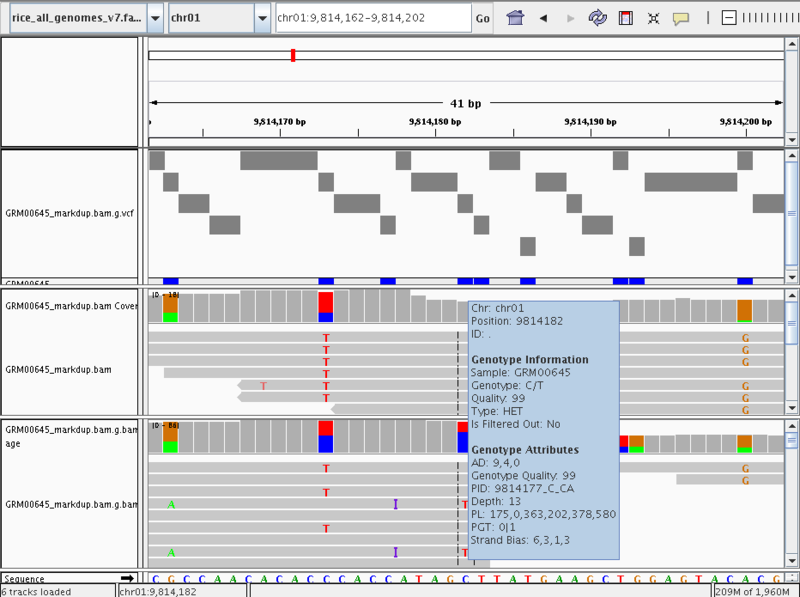 Haptyepecaller-output-gvcf also suggest this site is heterozygous. It seems that it's the same issue as https://gatkforums.broadinstitute.org/gatk/discussion/2319/haplotypecaller-incorrectly-making-heterozygous-calls-again. In that question,your suggested solution is updating GATK. Howerer,we used GATK 3.8 and GATK4.0.6 and we got same results. So, do you think the call should be hom-ref or hom-var? Can you post the GVCF and VCF final records for the site? 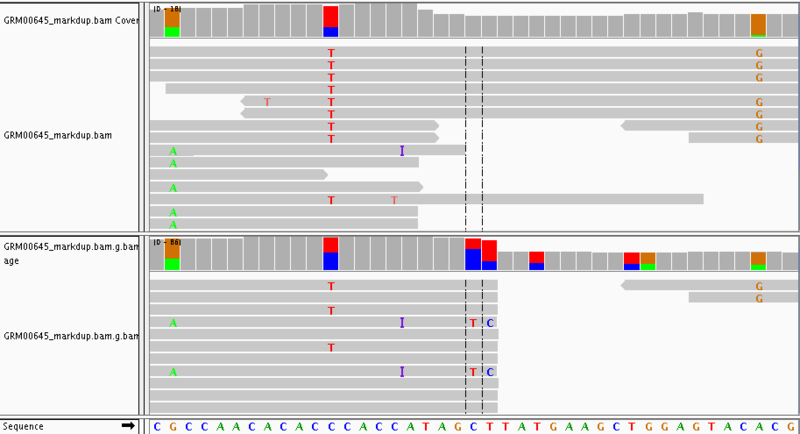 The reason it is called het is because there are 4 reads that have the alt allele present at the site. That is enough evidence to call a variant. Please see the Methods and Algorithms section for more information on how genotypes are decided.